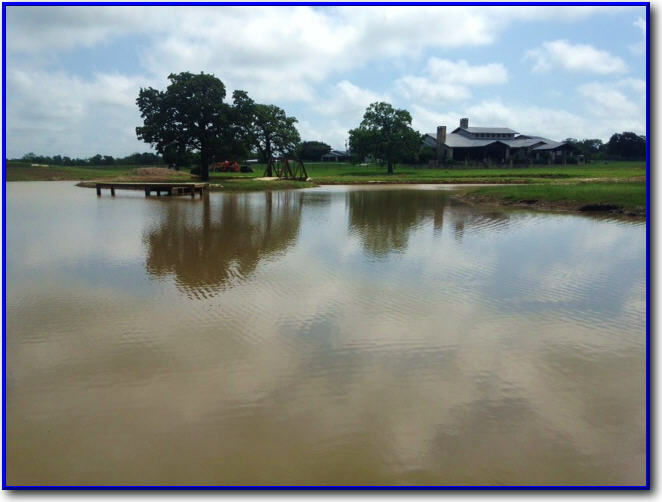 The most prudent way to begin development of your recreational land tract or rural lake retreat including pond or lake construction is to arrange an on site visit by a qualified consultant. What is a qualified consultant? Someone who has “been there, done that” **AND** is still doing it. Let me give you a perfect example of how when it goes bad it can get really bad. We did a job several years back north of Coleman,TX. That is semi-arid brush country and water is very precious out that way. 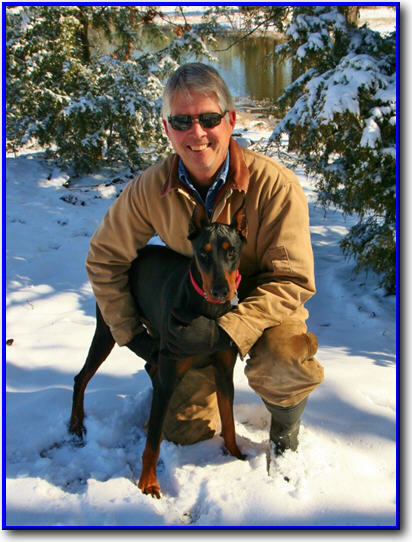 This landowner was a great guy and had lived in the area for decades. He had a weekend retreat of a few acres north of town and it was gorgeous. His house set back on the property on one of the highest ridges around and his view was spectacular. There was one problem………..
Near Coleman, TX……. Tons of bentonite clay have to be removed to correct a problem lake. If it looks like a mess, IT WAS! A costly one to boot. 20 years ago he had decided to build a small lake below the house and have the driveway curl around it as you entered the property. It was a very aesthetic layout and fit well. The local contractor assured the landowner the lake to be dug in very rocky soil would hold water. Well, it didn’t. 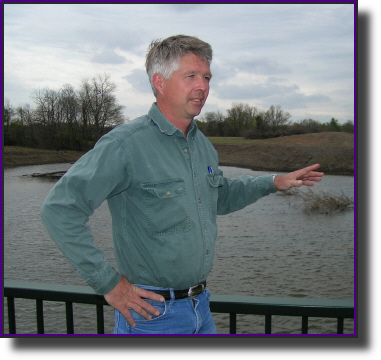 The ‘fix’ was to dump tons of bentonite clay into the lake in an attempt to seal it. That didn’t work either. It seldom does in our experience. This is not the first ugly mess of bentonite we have had to remove over the years. Well, as the years went by, this mud hole turned into a real eyesore and a source of frustration for the landowner. He had to drive by it every time he went up and down the driveway. His great view from his front porch was marred by this unsightly mess. I guess he finally had enough and called me in with this simple instruction. Fix it. It always costs more by far to fix a mistake of this magnitude than it would have cost to do it right the first time. We had to drain the lake. We dug tons of nasty,wet bentonite out of the bottom of the lake. We reshaped it from a generic oval to give it a more pleasing shape. We installed a plastic liner. In the end, his initial vision from 20 years ago was realized and he was extremely happy with the results. Please do your homework and do it right the first time! In my travels I have found that the overall failure rate of pond and lake construction projects is almost 50%. This is because soils are typically good, (high plasticity fat clays) and consistent (the good soils that do not vary) only about half the time. 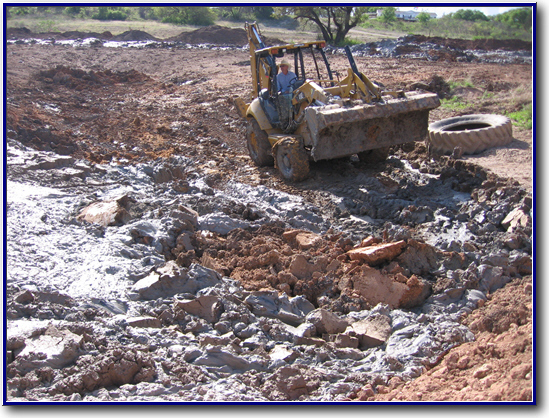 The failed projects usually have soils that are not conducive to holding water and/or vary from good soils (good water holding capability) to bad soils (will not hold water). Another problematic issue that I encounter almost 100% of the time is the aesthetic failure. Most local contractors do not have the artistic ability to properly design a project so it it pleasing to the eye and fits into natural surroundings like it has always been there. This is why you see so many bodies of water that look like “just a hole in the ground.” A properly designed project will involve the entire site. From the roads coming into the site, to the pond/lake and including the building structure sites; all components must work together in harmony with what nature has provided. Design must include creating optical illusions and lines of sight that enhance key features of the property. The lack of designing for easy maintenance is almost as common as aesthetic failure.. A recreational land tract should be designed for fun, not work. As in all things a certain amount of work is always necessary but designing for easy maintenance should be one of your project goals. In a failed project, the monetary loss can be devastating. Usually however the aggravation level and the time spent dealing with the failure is a larger burden than the financial issue. An excavation project is a simple set of steps that if done correctly and in order will last forever. Skipping steps, compromising quality or doing the steps out of order can lead to a project failure of epic and far reaching proportions. Let me make a suggestion. 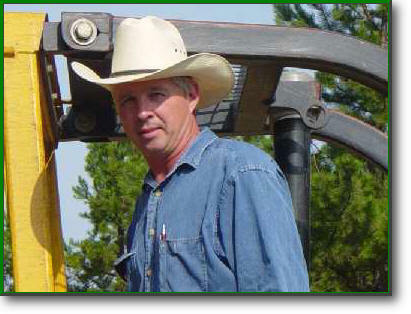 Call you local dirt contractor – every town has one or more – and have him come out to take a look at your project. Listen to what he has to say and what his thoughts are regarding your dream project. Then call me in for a consult. I turn dreams into reality day in and day out that will exceed your expectations. We consult nationwide with fees based on time/travel and the scope of the project.